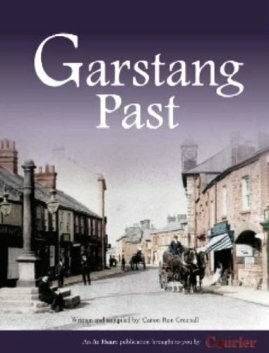 Lots of interesting pictures of Garstang though not much in the way of text - the book can be previewed here. In 2007, the Garstang Courier published its eight hundredth "Reverent Reflections" article by popular columnist, Canon Ron Greenall. Over the years, the column has included literally thousands of pictures, postcards and photographs of Garstang and District, some dating back to the late nineteenth century. From shops, houses and market days of years gone by, to school photographs, Whit Monday celebrations and the changing face of transport in the area, "Garstang Past" is a tribute and thanks to readers of the newspaper who have contributed to the column and to the people of Garstang, both past and present.